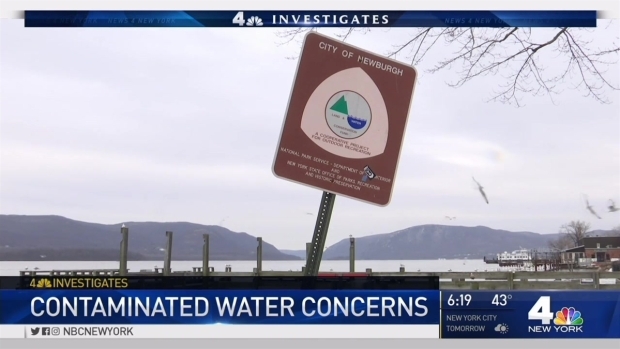 State leaders in New York are calling for drastic action to keep drinking water safe in response to what they call a “water quality crisis," especially in Newburgh and surrounding cities. “We can no longer cook with it, we can no longer make our coffee with it, and we cannot drink it -- and the kids, we were told not to brush our teeth with it, too,” New Windsor resident Tina Coughlin told NBC 4 New York. Coughlin said the state tested her well water back in August, and that's when they discovered that it was contaminated with Perfluorinated Compounds, or PFOS. “I don’t want to see my kids get sick,” said Coughlin. State leaders in New York are calling for more oversight to keep drinking water safe. In a report Tuesday, senators called for a dozen actions in response to what they call a water quality crisis. Among the biggest concerns, the situation in Newburgh. 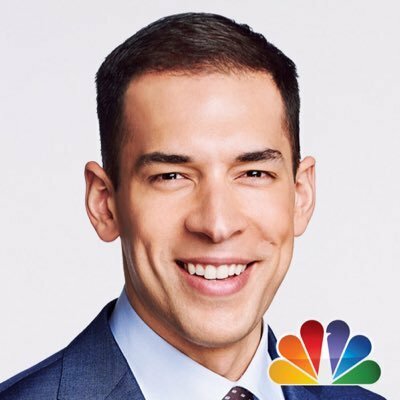 Stefan Holt reports. Amid jugs of bottled water provided by New York state, Coughlin and her family are at the epicenter of a water crisis that has engulfed the towns of Newburgh and New Windsor, as well as the certain areas of Beaver Dam Lake. A multi-state agency response was launched after the EPA and a Department of Environmental Conservation investigation revealed that Lake Washington, the city of Newburgh’s reservoir, was contaminated with PFOS. It is a chemical that was used in firefighting foam, and the source of the contamination was linked to a retention pond at Stewart Air Force Base. “The health effects that have been identified as potentially concerning for PFOS including liver conditions, immune and thyroid concerns, low birth weight are the main ones,” Brad Hutton, state deputy commissioner of public health, told NBC 4. In May 2016, the city of Newburgh’s water supply was switched to Browns Pond. In June, it was switched to the Catskills Aqueduct to provide the city of 27,000 residents with clean drinking water. The state is footing the bill and advanced a payment of $2.4 million to the city of Newburgh in September 2016. For residents with private wells, several options have been made available from the state. Some residents, like the Coughlins, have been provided with bottled water as their clean source of water. Other residents that are close to public water supply hookup have been hooked up to public water. Those who aren’t have the option to opt into a Point of Entry Treatment System -- or a POET -- that would purify their well water. Despite the response from the state, many people like the Coughlins are still fearful. "This has been in the drinking water supply for years … we may have exposed a whole generation to this contaminant," said Dan Shapley, the water quality program director with Riverkeeper. “This chemical is, unfortunately, like a perfect contaminant. It's soluble in water and it’s very toxic. You can have very small levels, so just under four pounds of this stuff in that whole reservoir is enough to contaminate it beyond EOA safe drinking water guidelines,” Shapley said. Riverkeeper has served as an advocate for the impacted communities. Shapley said the organization is fighting for primarily three things. The first is a robust health response to make sure that there’s a long-term medical monitoring program. That starts with free blood testing, "which we’re happy to see the department of health Is now doing here in Newburgh," he said. "We’re also concerned about robust cleanup of the contamination, and that’s a point that we’re still very concerned on because the Air National Guard base has not filtered the water that’s coming off of their base, the pollution is still flowing off of their base," said Shapley. "And third, we’re interested in protecting the drinking water supply in the long term and that really means protecting the streams that feed into the reservoir." As a part of the health response, the Department of Health has launched an unprecedented effort to test the blood of every resident. Over 3,000 residents have signed up to date, and the state has tested over 400 of those that have opted into having their blood tested for PFCs. Hutton said PFOS typically takes between 5 to 7 years to have a half-life and sort of dissipate in the levels of a person’s blood. "I think it is helpful to try and understand what the levels are that were experienced here in the Newburgh residence, so that we can monitor for health effects over time and provide information to clinicians and patients," said Hutton. The program is a comprehensive bio-monitoring program launched by the NYSDOH in partnership with the US Centers for Disease Control and Prevent and the Agency for Toxic Substances and Disease Registry. The program will serve as a national model for understanding the effects of PFOS exposure. “There aren’t many labs nationally that can perform a test to find this in water, let alone blood. Our Wadsworth Center in the New York State Health Department is one of the premier public laboratories in the nation. It’s because of Wadsworth’s capabilities that we even have the ability to offer for bio-monitoring to a community like Newburgh,” Hutton said of the state funding program. NBC 4 has learned from city officials that testing has been easier said than done. “There’s a lot of distrust in the community when the federal government or any type of government tries to come in and take information from your body. Certainly, a community of color, we’ve had lots of experiences where that has taken a negative connotation,” Newburgh City Councilwoman Karen Mejia said, explaining the fears that resonate with many residents. In a statement Tuesday, the DEC said, "New York State is taking aggressive actions to identify and confront emerging water contaminants, hold polluters accountable, and create a national model for the protection of drinking water. This session, we look forward to working with the Legislature to increase the State's investment in water infrastructure and source water protection." The Air National Guard said in its own statement, "The Air Force is committed to protecting human health and ensuring safe drinking water for our Airmen and impacted communities. We are systematically sampling groundwater and soil where Aqueous Film Forming Foam was released. Where our activities contaminated drinking water above the Environmental Protection Agency health advisory we will take action, and have taken actions across the Air Force to transition to a more environmentally responsible AFFF alternative." Anyone interested in having their blood tested should call the Water Quality Hotline at 800-801-8092.